We are pleased to share with you the Education Annual Report of the Cafesjian Center for the Arts (2017). 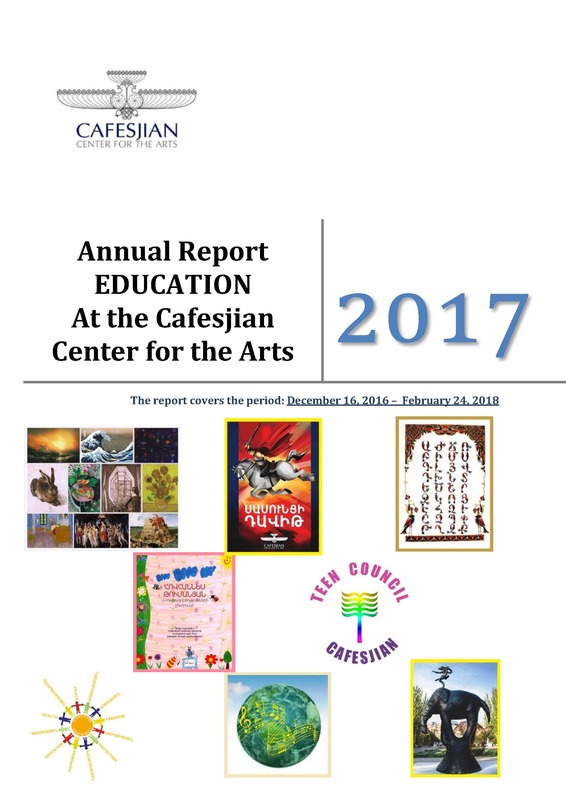 The report includes summaries, statistics, photos, videos and media coverage of all the CCA’s education initiatives, projects, events and activities, which comprise the educational component of the Cafesjian Center for the Arts. Become a member and continue following our news and initiatives through active engagement in CCA’s educational activities and events.